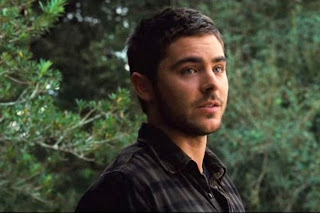 Home / movie / Scott Hicks / Warner Bros. / Zac Efron / Oscar-Nominee Scott Hicks Directs "The Lucky One"
Oscar-Nominee Scott Hicks Directs "The Lucky One"
Is there really such a thing as destiny? Is Fate shadowing our movements, stacking the deck, or are all our moments—ordinary and extraordinary—random? The age-old question of whether things happen by accident is at the core of Nicholas Sparks’ “The Lucky One” which is now a Warner Bros. film starring Zac Efron and directed by Academy Award-nominee Scott Hicks (“Shine”). In “The Lucky One,” the photo becomes more than a good luck charm; it serves as the catalyst for a journey of discovery and healing. “I think most people have, at some point in their life, a lucky charm and, whether we truly believe in it or not, there's something hopeful about it,” concludes producer Denise Di Novi.